If you are in the market of buying or selling your home, you inevitably will ask yourself whether you should enlist the services of a real estate agent or not. Although doing the work on your own has the potential to save you money, it also could be very costly in the long run. Buying or selling a home is a major life decision and although exciting, it can also be extremely stressful if trying to navigate the process on your own. Below you will find three reasons why teaming up with a real estate professional is in your best interest when starting your journey of buying or selling. The foundational responsibility of any real estate agent is to provide home buyers to home sellers and conversely, home sellers with potential home buyers. Whether from their own library of listings or those from another brokerage, realtors have access to all properties that are available on the market. How this is beneficial to you? Let’s say for example that you are a home buyer and you made the decision to hire a real estate agent. The real estate agent is able to locate all of the homes that meet your specified standards (square footage; number of bedrooms; location; open concept; price range etc. ), contact the listing agents, schedule showings and then relay that information to you. If you did not have real estate agent working for you, you would be doing all the work on your own. You would end up spending countless hours perusing various websites to identify which homes look appeasing to your tastes. Then you would spend more of your time trying to get ahold of the listing agent and fitting into their schedule of when you could view the home only to find out that pictures online can be deceiving. On the other hand, say you are selling your home, the real estate agent will provide their services of photographing your one-of-a-kind home and ensuring that everyone in town sees what they could be missing out on. Because real estate professionals work with one another on nearly a daily basis, your agent is able to make a personal phone call to his or her agent friend who has the perfect buyer and schedules a time to view your home. If you made the mistake of not hiring a real estate agent to assist with selling your home you again would have to do all of the work yourself. Your voicemail would be full (possibly) from potential buyers and you would have to make time in your busy schedule to show the home yourself. How frustrating to have a buyer not show up after you moved your schedule around to accommodate them. Everyone likes to get a “good deal” on anything that they purchase. My wife is a triple-mega-master blackbelt in negotiating and I could use to learn a few things from her. In a perfect world, a buyer and seller would agree on the price and both parties would walk away feeling accomplished, however, negotiations in real estate can be difficult. If you are handling buying a home without a real estate agent, telling the seller that their taste in neon-painted walls is repulsive probably wouldn’t be beneficial to your relationship. If however, you had an agent on your team, you could freely discuss what you did and did not particularly care about a home that you saw and not offend the seller. Your agent can then portray the concerns you have to the seller or the seller’s agent, and collectively find a resolution to continue working towards a deal. Trying to learn a new language is difficult, can be frustrating, takes time, repetition and practice. 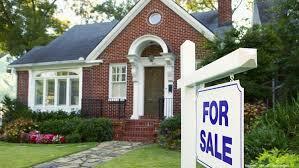 This is also true with the paperwork involved with a real estate transaction, whether you are buying or selling. A real estate agent deals with different contracts and unique conditions daily. They are educated in these different documents. They are professionally licensed to understand, work with, and utilize them. 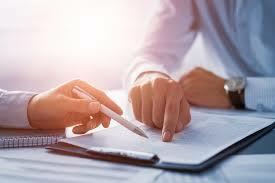 Without utilizing a real estate agent who is trained and well versed in all the various contracts, stipulations, and contingencies you could find yourself not only losing money but also in a bit of legal trouble if unable to perform your duties on a contract. Having a real estate agent on your team protects you in the long run, that is, after all, part of their job.